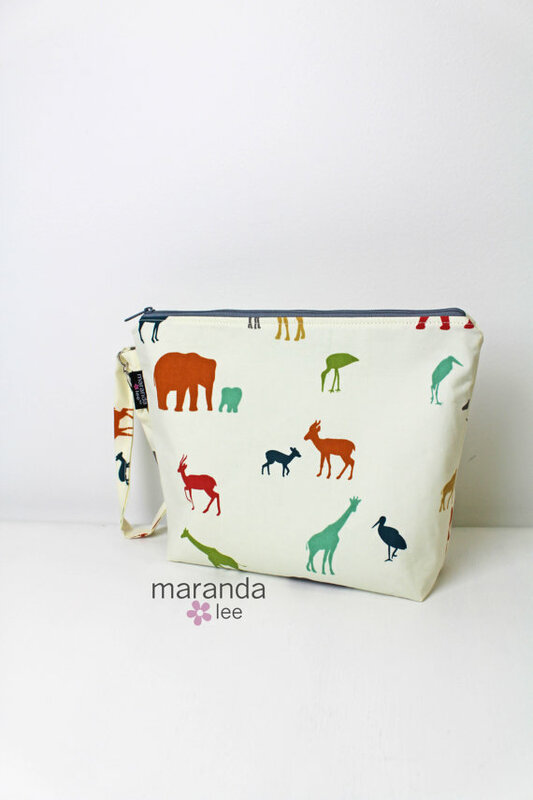 Spring’s right around the corner…for mamas! Maranda Lee makes the “original hot mama handbag”! What more could you ask for? Even though I don’t have babies of my own, I couldn’t stop myself from looking through some of her products. Here are my favourites! 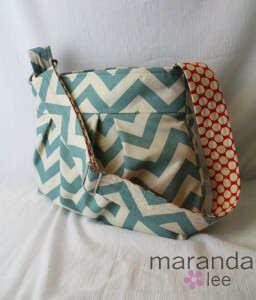 The Emma Chevron Diaper Bag grabbed my attention first. 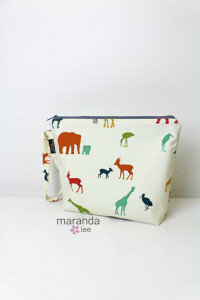 Surely I could use this for non-diaper bag purposes?! 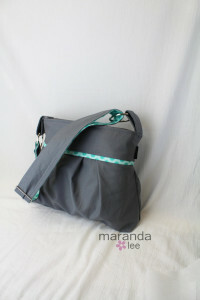 The Stella Diaper Bag is cool with its grey and light teal! Looking for something bright and cheerful? 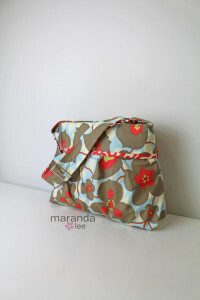 How about this Stella Morning Glory bag? 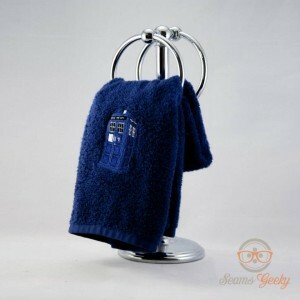 Now…what about accessories for your bag? Every girl needs accessories! 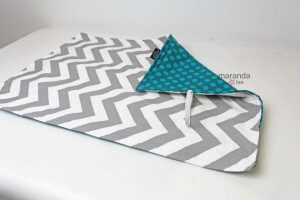 Maranda Lee also makes changing mats and mini bags for your wipes, called Deluxe Wipee Dipee Bags!! Have I got you hooked yet? Check out her Etsy store for more! You can also go to her Facebook or website for more updates and peeks into her awesome products! 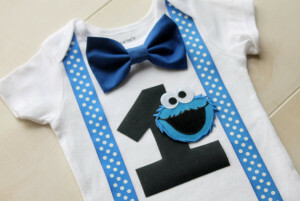 How about a Cookie Monster birthday outfit? Complete with bowtie? Squeee!! 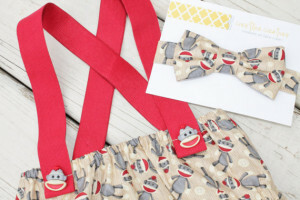 Or when you don’t want to get the official outfit dirty come cake time, there’s this Sock Monkey cake smash outfit!!! 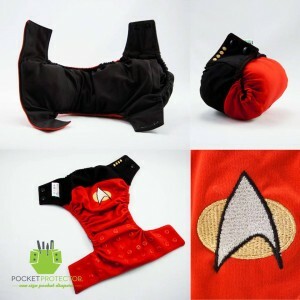 This comes with a diaper cover, suspenders (OMG) and a bowtie! Finally, decorating the high chair is a must! 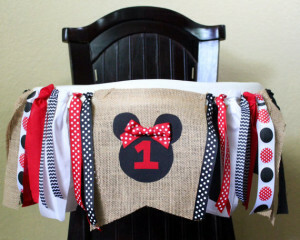 The Mini Mouse high chair garland is the perfect fit! Are you with me? Isn’t this all “squeeee” worthy??? 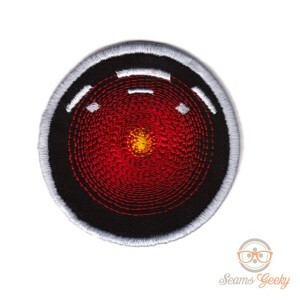 If you visited me at Magfest in January you may have met my friend from Seams Geeky at the table next to me. Liz specializes in one-size pocket cloth diapers that grow with your child. The special liner she uses keeps baby bottoms dry even after they have been used. 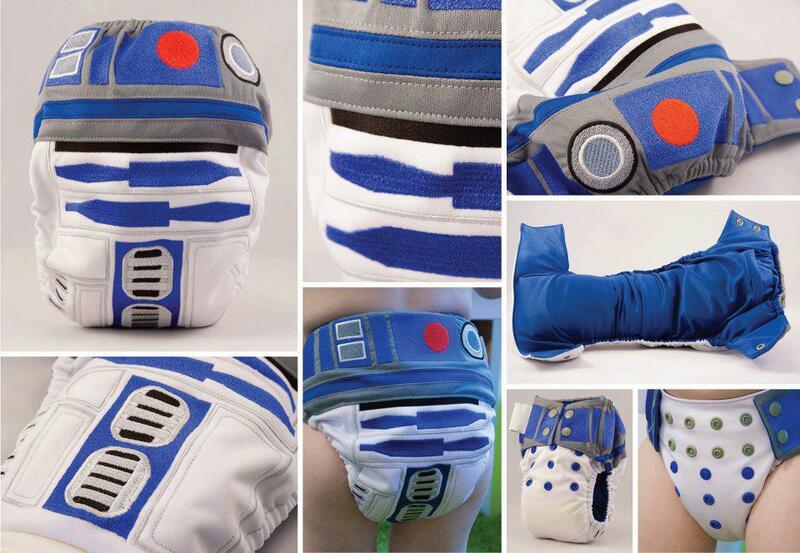 Not only are they fantastic diapers, but the designs she uses are amazing. Diaper Wars had a geek themed diaper making competition where she took first place with her R2P2 diaper. 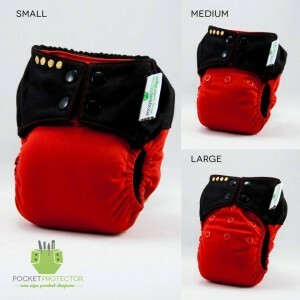 She has a waiting list for her diapers which you can get on through her website at www.seams-geeky.com. But in addition to diapers, she also makes iron on patches and hand towels. Those you could purchase through her etsy shop. https://www.etsy.com/shop/SeamsGeeky.